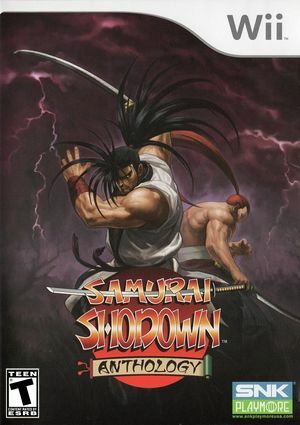 Samurai Shodown Anthology (サムライスピリッツ六番勝負 Samurai Supirittsu Rokuban Shobu, lit. Samurai Spirits: The Sixth Match) is the complete collection of the Samurai Shodown series, containing 6 games: Samurai Shodown, I, II, III, IV, V, and VI. Celebrate the history of Samurai Shodown by battling as one of the greatest Samurai of all time. Six separate adventures that span across the life of the franchise in this incredible collection. The graph below charts the compatibility with Samurai Shodown Anthology since Dolphin's 2.0 release, listing revisions only where a compatibility change occurred. This page was last edited on 13 January 2018, at 13:09.